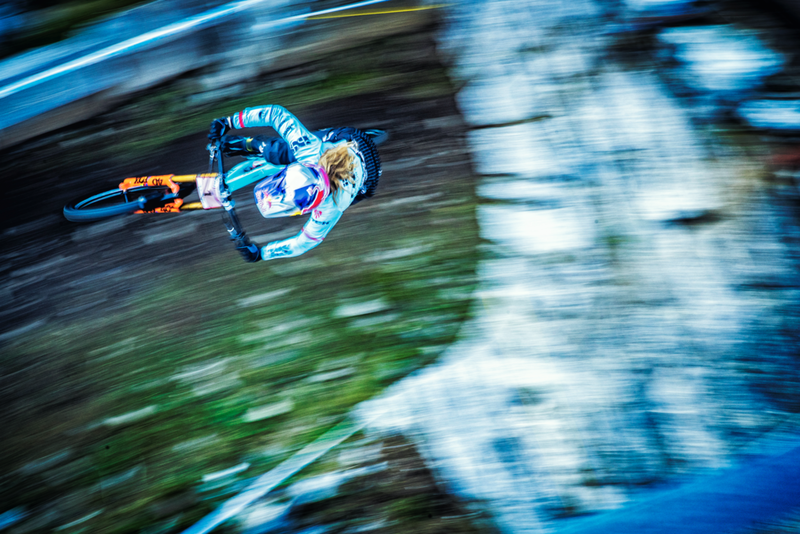 The world’s fastest downhill race bike gets even faster. Forged by the brutal demands of the World Cup circuit, all-new Session 9.9 turns up the speed with a stiffer frame, race-focused geometry, and a livelier ride with an updated suspension design optimized for air shocks. While the complete bike sports ever-popular 27.5” wheels for all-around performance on any track, we’re also offering something special for riders who always want more. 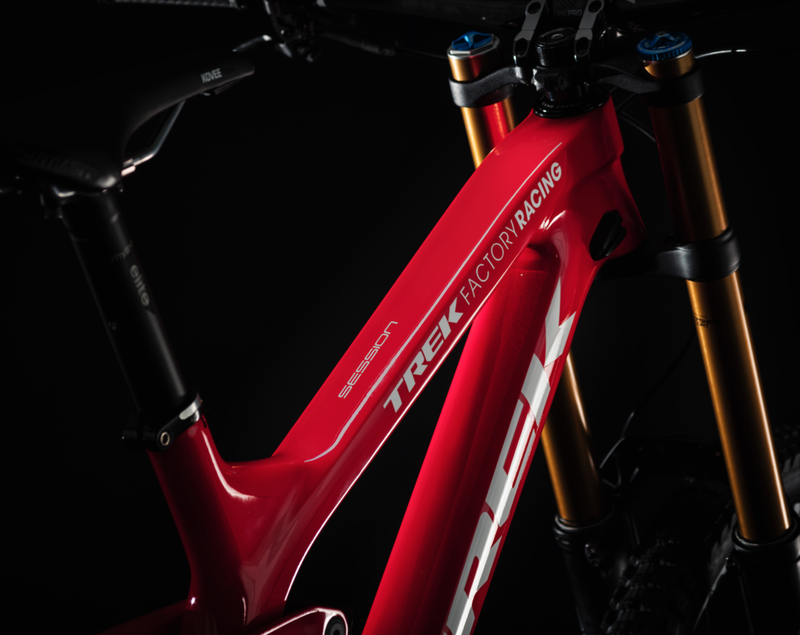 For more speed, we’re offering all the benefits of new Session on a 29er chassis. Offered in limited quantity as a frame & fork package, Session 29 brings faster-rolling big wheels to the downhill scene. Updated race-focused geometry is the least visible change to Session 9.9, but it’s the one that riders will feel immediately. 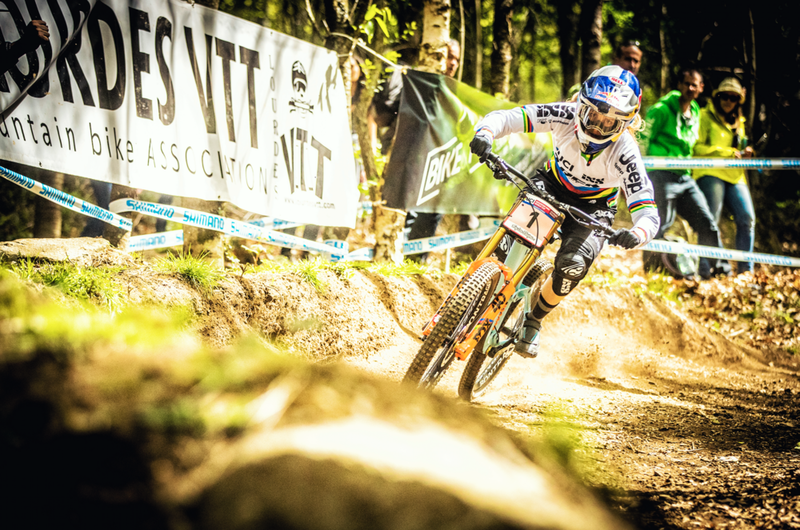 This is where the Athertons and World Cup racing had the most influence. The reach grew by about 20mm on each size, putting the rider in a more aggressive position on the bike. The chainstays stay on the longer side to match the increased front-center length and keep the bike stable at speed, and also allowing it to plow through the rough stuff without getting the rear end hung up. Another way we’ve increased the bike’s stability and cornering prowess is by giving it a slacker head angle and a lower bottom bracket. Session 9.9 is now 10mm lower and sports a 63 degree head angle out of the box. Hoping for a slightly different head angle? Session features an easily adjustable head tube angle, but it’s not the creak-prone adjustable type. The bike ships with zero-offset cups installed, but it also includes a set of 1-degree-offset cups that can be installed with a forward or backward angle for an additional 1 degree of head angle adjustment in either direction. 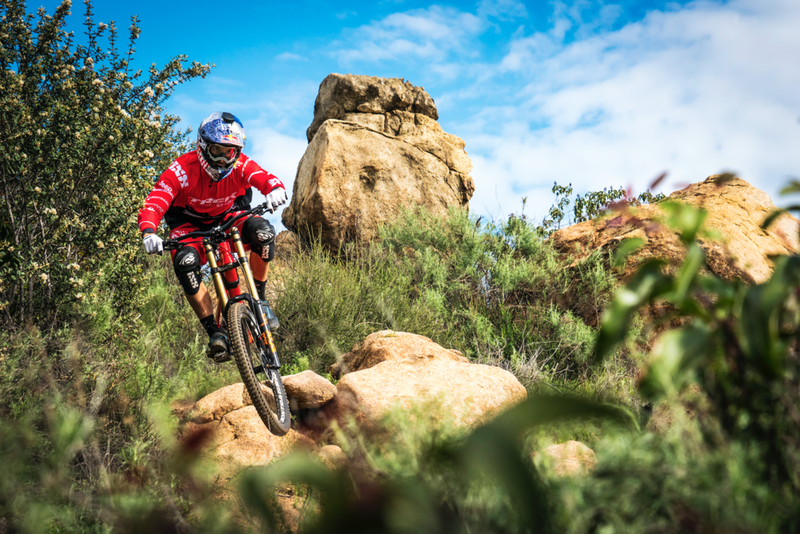 Like all of our other full-suspension bikes, Session also gets further adjustability with Mino Link, which offers another half degree of head angle adjustment, as well as about 8mm of BB height adjustment. Between the Mino Link and the adjustable angle headset, riders can dial in their head tube angle to anywhere from 62 degrees to 64.5 degrees depending on the course or their own personal preference. Though new Session sets its sights squarely on the finish line, it still works great for crushing laps on the bike park jump lines. Session is primarily sized by reach, which means that park riders can size down to get all of these suspension and stiffness improvements but with a more playful fit. One of the most visible changes to Session 9.9 is the new Fox Float X2 air shock. What’s not so visible is the Float X2’s redesigned internals, which were developed on the same timeline as the Session. 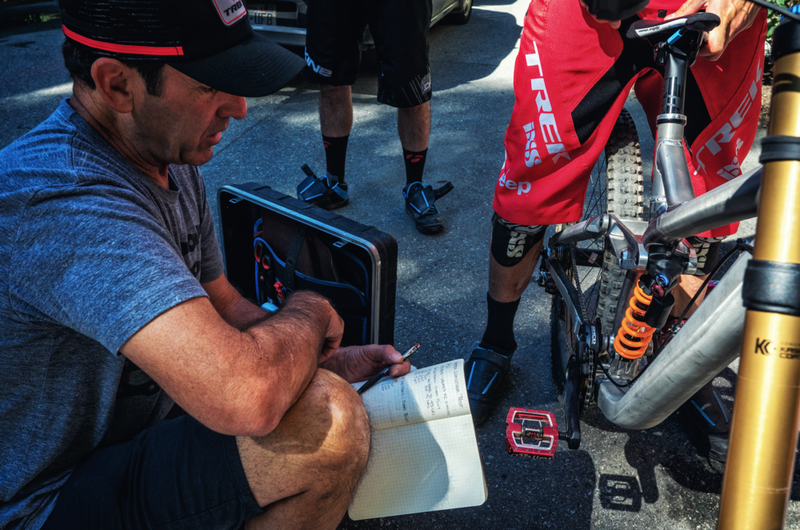 Trek’s Suspension R&D team worked closely with Fox Racing Shox to optimize the new bike and shock together in a high-performance package with more flexible tuning options than ever before. Updates to the new DH-focused Float X2 include progressive instead of digressive valves and enhanced spring characteristics, which complement new Session’s lower leverage ratio and longer shock stroke. 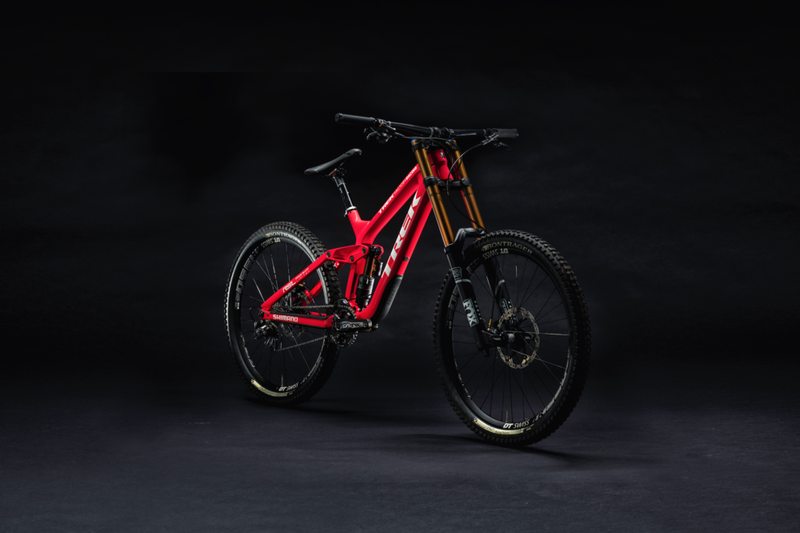 These changes to the frame accelerate the shock’s compression speed and introduce higher spring and damping forces for a given amount of wheel travel. All of that translates to the rider as a livelier ride with more control and more support, especially in the midstroke, where the suspension works the hardest. With the damper doing more of the work and dissipating more energy through the midstroke, the shock gets much more predictable bottom-out resistance for better control on even the biggest hits. The suspension is also more responsive at the beginning of the stroke, allowing the bike to respond to smaller bumps, so it tracks the ground better and improves grip. Achieving all of these suspension performance improvements at the same time without compromise might seem impossible, but we’ve managed to do just that with the new Session and new Float X2 working together. Another visible change to new Session is the absence of Full Floater. We previously used Full Floater as another means of tuning suspension characteristics. With the massive improvements in air shocks, including more tuning features like air pressure, spring rate, and spring volume, we can now trade that Full Floater tunability to gain more strength and stiffness in the frame while saving weight and maintaining plushness. So Session is still one of the lightest DH frames available, but now it’s even stiffer, so it’s more responsive in and out of corners, and it holds a precise line through even the roughest, gnarliest terrain. 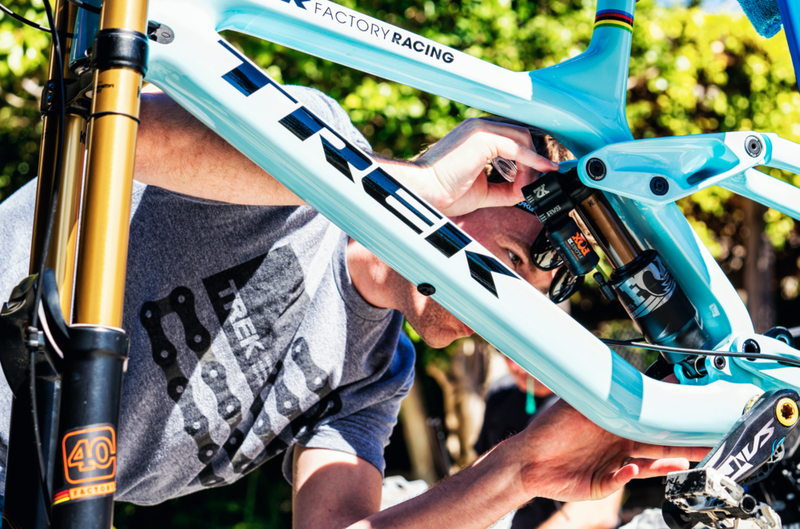 While improved suspension performance, increased frame stiffness, and racy-yet-adjustable geometry are the most notable changes, Session still features the classic Trek tech technologies that make all of our bikes shine. 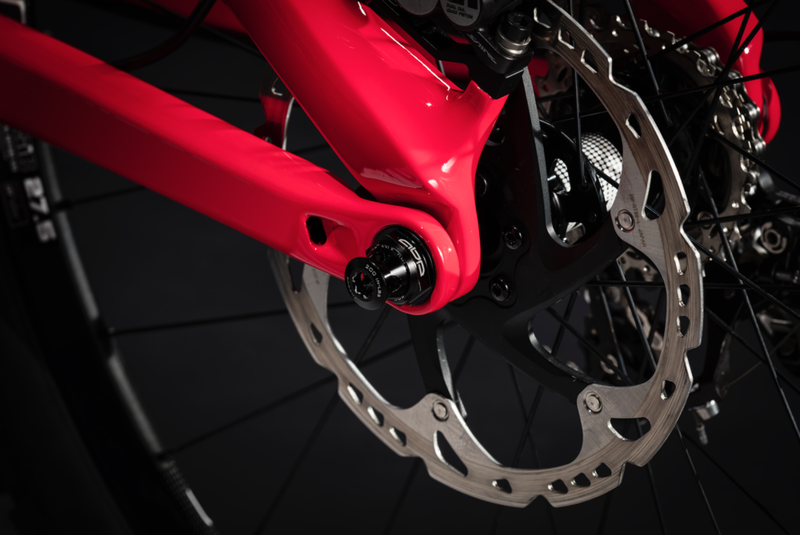 Trek’s patented Active Braking Pivot keeps the suspension working freely under braking loads that can cause other designs to stiffen up and stop working. 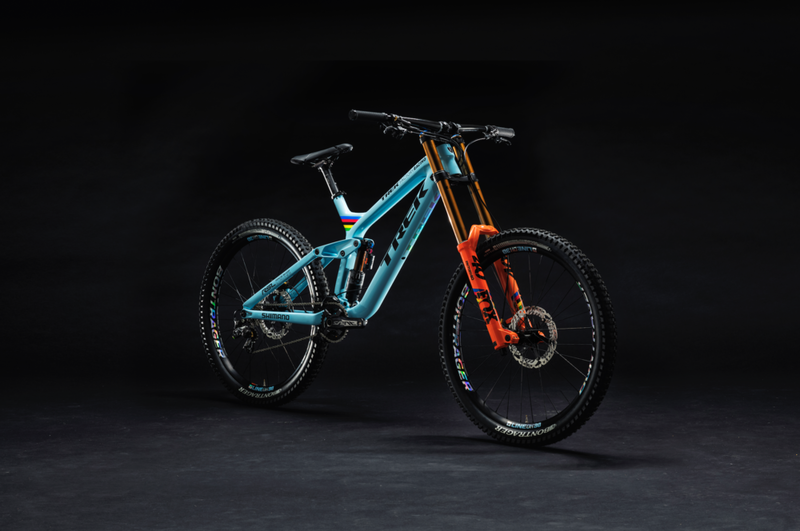 Its OCLV Mountain Carbon frame is light and strong thanks to a precise carbon layup that minimizes weight, enhances ride feel, and maximizes durability. Carbon Armor adds an extra layer of protection to impact-prone areas like the downtube, chainstays, and seatstays. Fork bumpers are built into the Control Freak cable routing guides, which allows for versatile and easy-to-use internal control routing for added protection and slick aesthetics. 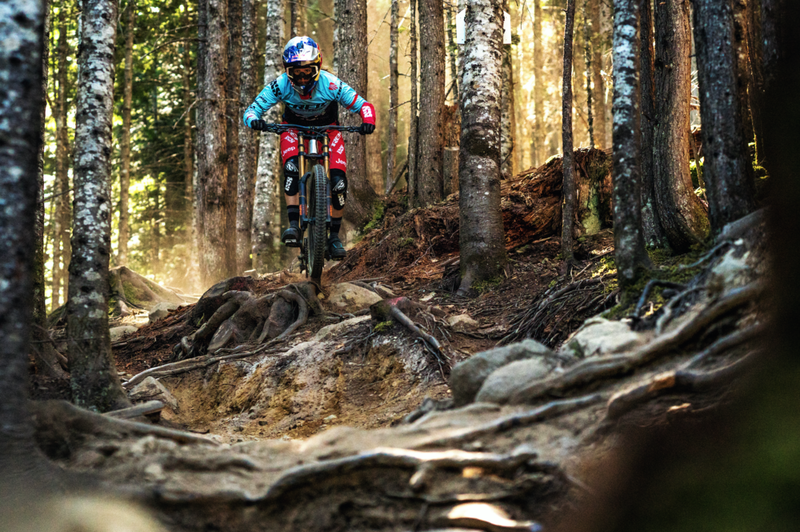 It all adds up to a downhill bike that performs better in every way. It’s stiffer, more aggressive, more adjustable, and just plain faster with suspension that’s more plush and grippy off the top, more supportive and controlled in the middle, and better able to absorb big, bottom-out hits without losing its cool. Is Session still compatible with coil shocks? Yes. Updated metric shock sizing allows riders to run most aftermarket coil shocks. Is this a new headset standard? No. It uses the common 56mm/49mm cup size, so you can still run your favorite headset if you’re happy with the stock head angle. Can the new X2 be tuned with volume spacers? Yes. Float X2 offers additional air spring tuning by adding or removing volume bands. Visit www.foxracingshox.com for more information. What is the rear hub spacing? While new Session’s changes focus squarely on racing speed, Session 8 returns as a carry forward model that retains the same frame as years’ past. This frame features a more all-around geometry that works well for racing, but also feels equally at home playing around the bike park. Who’s the right rider for Session 27.5 and 29? The Session 27.5 will be the overwhelming right choice for most riders. It’s fast and nimble. The Session 29 is for the accomplished rider looking for every bit of speed possible. What are the differences between the Session 29 and 27.5? Aside from wheel size and ride, the Session 27.5 and 29 feature the same frame features. The Session 29 geometry differs in that it has a slightly longer wheelbase due to the bigger wheels and the BB drop is greater giving it more stability. What’s included with the framesets? The Session 9.9 27.5” frameset includes the FOX X2 air shock and fixed angle headset cups. The Session 9.9 29 will include the FOX X2 air shock, fixed angle headset cups, and the FOX 49 fork. We include the fork on the Session 29 since it’s such a unique, relatively scarce fork.